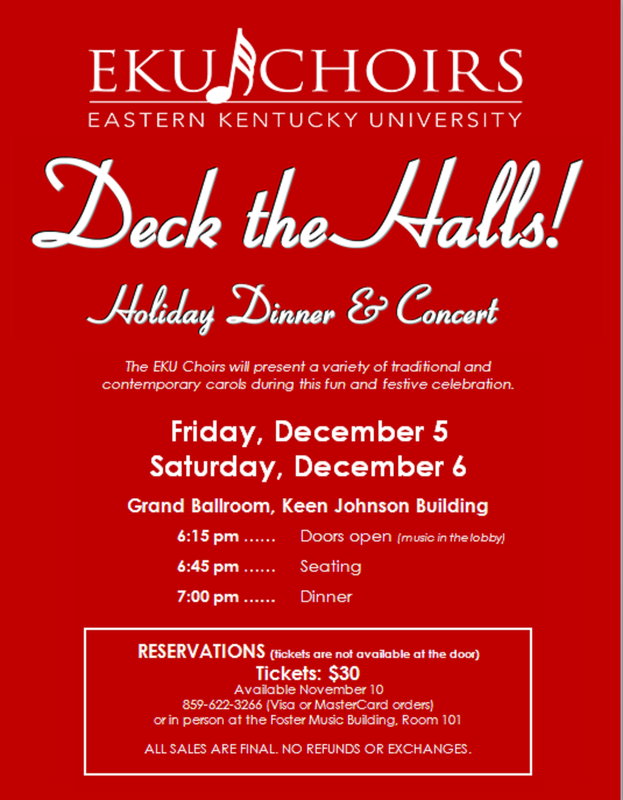 Tickets for our annual holiday dinner and concert - Deck the Halls! - will go on sale November 10. Please support the biggest fundraiser of the year for the EKU Choirs! Click here for more information.